The topic was wood for this week’s Deck The Home blog hop, and this project stopped me in my tracks. I’ve been blogging for a little while now and you start to see some of the same projects with a different spin. Which is totally ok and I am definitely one of those people…. hello shiplap version 165,492,523 right here! Every once in a while, I’ll see a project and I can hear my jaw hit the floor. Are you ready to see what I’m talking about?? My feature this week is Christine from My Kitchen Craft and OMG I squealed when I saw this project! 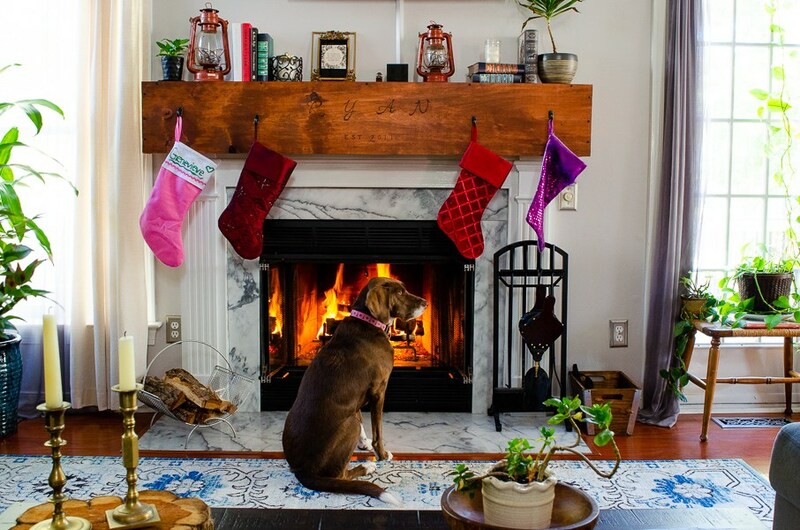 She wood wrapped her mantel! Don’t believe me, look at her before!! Christine’s mantle before her genius project! Guess who else has a fireplace similar to Christine’s?? My fireplace looks like a long lost sister to Christine’s! ME!!!!! 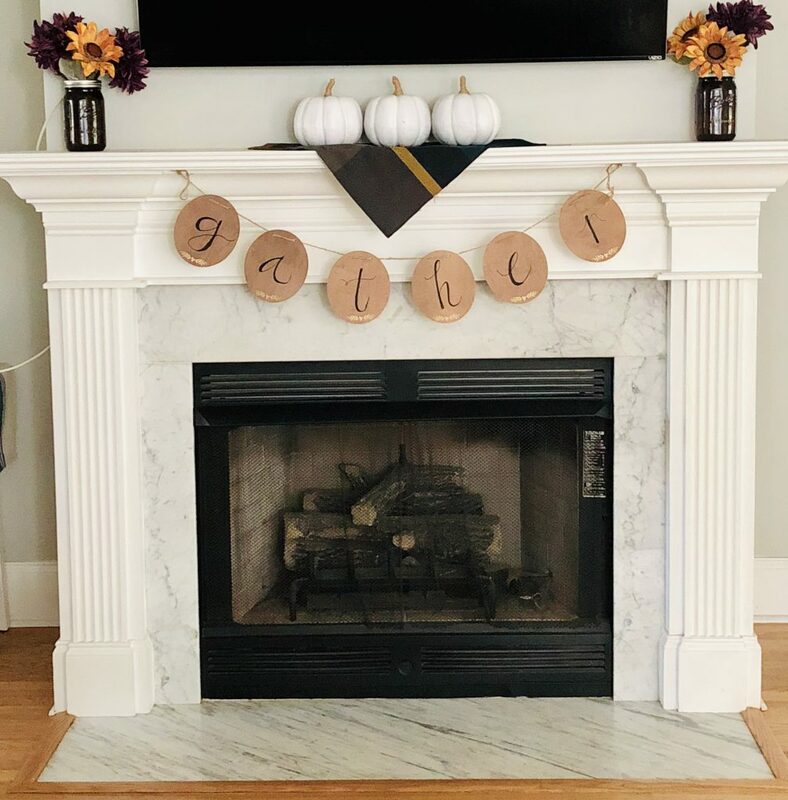 And I’ve been BEGGING Courtney to let me change the mantle and then Christine’s post…. and I’m just beside myself!! I thought my farmhouse wood box was pretty fabulous, but this, this stopped me dead in my tracks. High five Christine!! 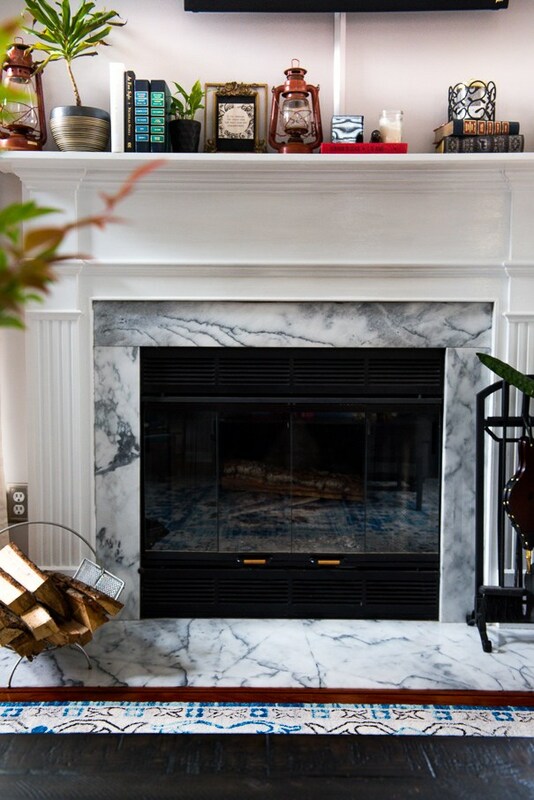 You HAVE to head over to her blog and see exactly how she did made her wood wrapped mantle. What’s even more cool than wrapping her mantle, she added hooks to hang her stockings, no more annoying stocking holders!! I know… genius!!! 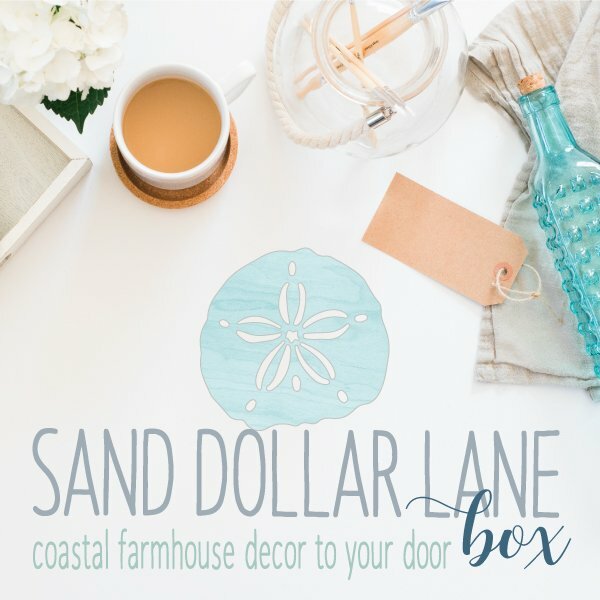 Don’t forget to check the other awesome wood projects in the Deck the Home Blog Hop because there is more awesomeness where this came from!! I am loving all the creativity and inspiration in this group and I hope you find inspiration of your own too!! « Trend alert: Brass is definitely back! Thanks so much for sharing Brooke! Wow- our fireplaces really do share some DNA. Ha! I can’t wait to see how your “convertible” mantle turns out!!! Happy Holiday sweets! I can’t wait to do this to mine!! Thanks for the awesome idea! !